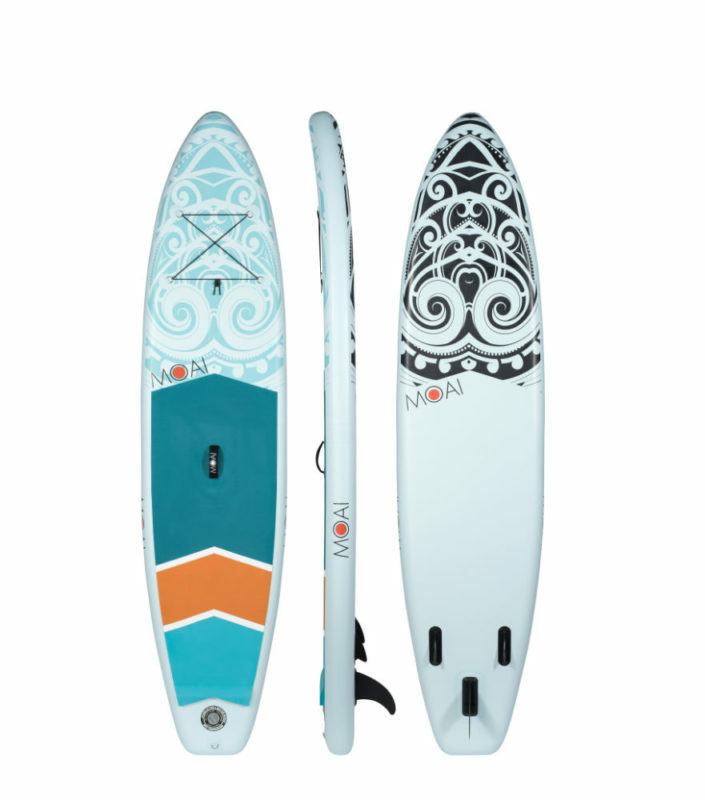 Meet MOAI, the ideal stand up paddle board for every SUP lover, whether you are a beginner or an experienced rider. Paradise is just a paddle away! At MOAI, we believe in quality, durability and portability to give consumers the best possible experience. 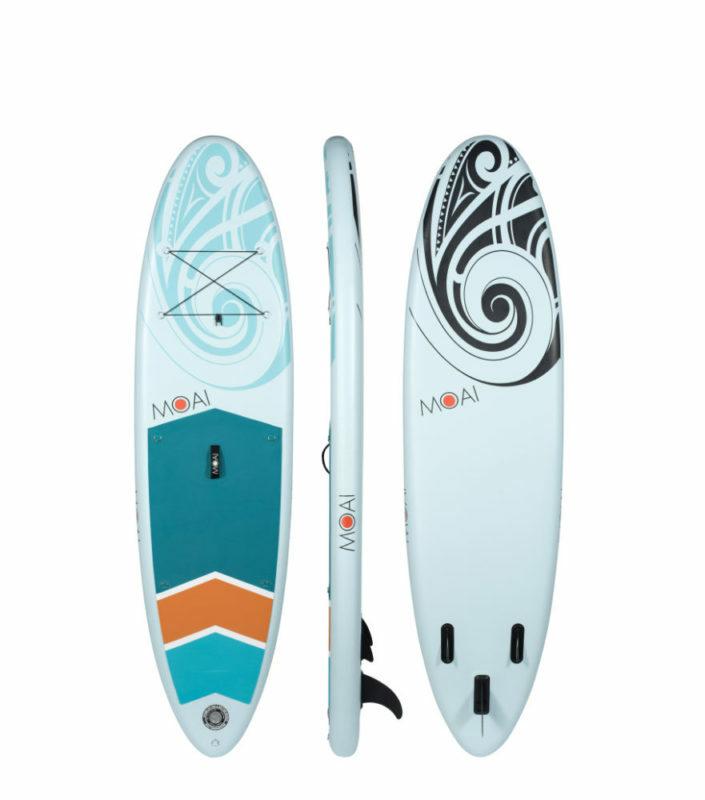 MOAI boards are inflatable and made of high quality and innovative materials, at an affordable recommended retail price. All models have optimized dimensions for every type of rider. 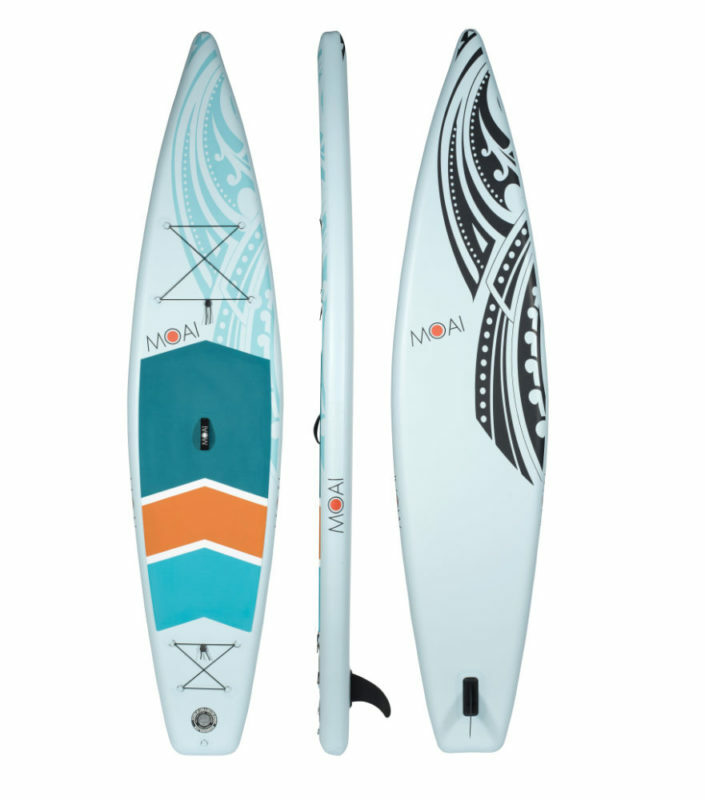 MOAI boards are standard complemented with accessories to hit the water out of the box. Designed in Holland, inspired by the Polynesian inventors of paddle boarding. With each MOAI purchase we will also help a child in need. Together we stand up for a better world. The inflatable 10’6 all-round SUP is the perfect beginner board for families and people who want to stand up paddle for recreational purposes. The board has also an hybrid functionality: you can add an optional kayak seat to use the SUP as a kayak. We launched MOAI in 2018 with the 11’ inflatable board. This all-round board is ideal for beginners as well as the more experienced users who want to spend more time on the water. For the 2019 season we upgraded the board material with fusion technology, which makes the board more environmental friendly and lighter to carry for the user. Due to its shape, it is faster than a regular iSUP. We also added a kick pad. The inflatable 12’6 touring SUP is the ideal board for the more experienced riders who want to spend more time on the water. The board includes 2x nets which enables users to carry additional cargo or luggage for longer distances. The board is shaped to be faster than our other models, but with the necessary rigidity and stability. Created with fusion technology, which makes the board lighter and more environmental friendly. Contact us when you want to learn more about our business, brands and products or how to become a dealer.